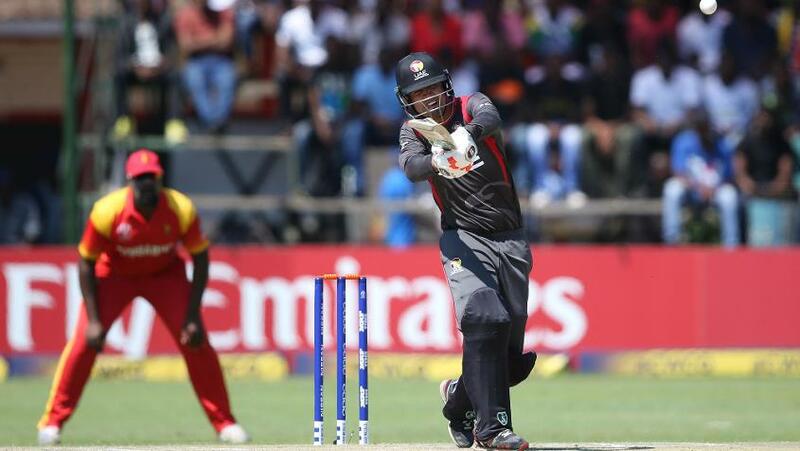 A win against Zimbabwe helped UAE end what was an up-and-down campaign on a high. 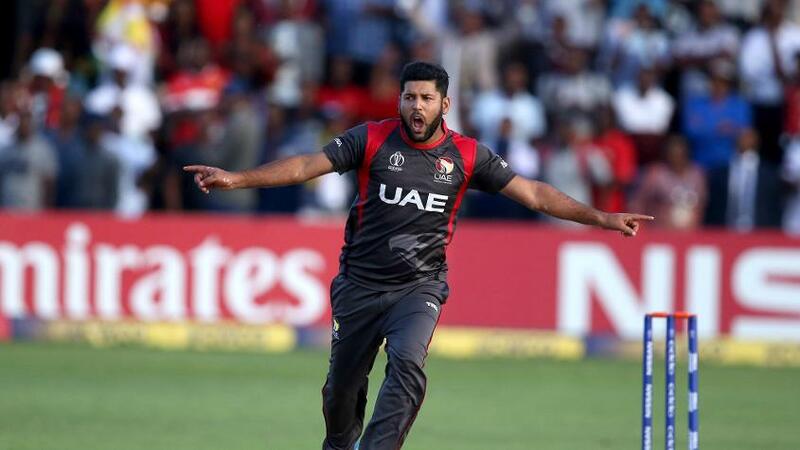 A campaign that began well for the United Arab Emirates at the ICC Cricket World Cup Qualifier 2018 with a win over Papua New Guinea turned disappointing as they lost their chance of qualifying for the ICC Cricket World Cup 2019 early on in the Super Sixes stage. A three-run win over Zimbabwe in their last match, though, helped them finish the tournament on a high. The win against Zimbabwe, a Test-playing nation, must count as the biggest positive for UAE. Although they had lost their first two games in the Super Sixes against Scotland and Afghanistan, UAE brought their ‘A’ game to the table and won the last match by three runs on the DLS method. 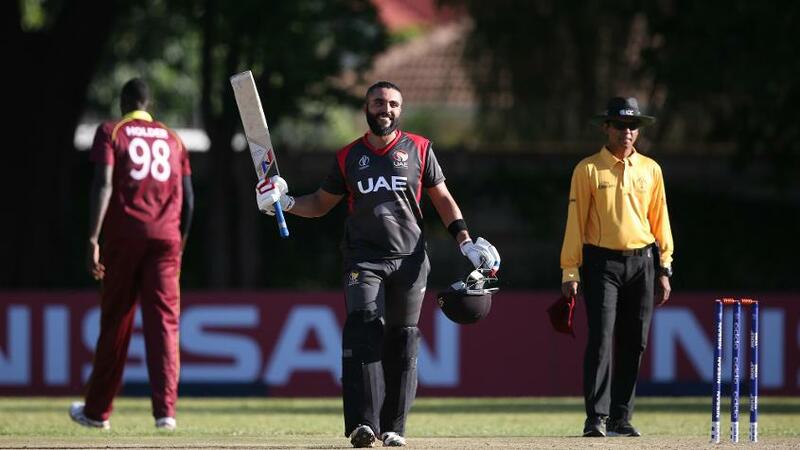 After putting up a respectable 235/7 on the board, the UAE bowlers did exceedingly well against a Zimbabwe line-up comprising the tournament’s most prolific run-getter, Brendan Taylor, and batsmen like Craig Ervine, Sean Williams and Sikandar Raza. Fast bowler Mohammad Naveed picked up three wickets while giving away 40 runs from eight overs and was adjudged the Player of the Match, having scored a quick 22* earlier. Naveed ended the tournament with 14 wickets against his name from seven matches at 24.64 while Rohan Mustafa, the captain, picked up 13 wickets from as many games at a slightly better average of 22.76. The Zimbabwe victory aside, UAE did not fare particularly well in the rest of their Super Sixes games. The wins over the Netherlands and Papua New Guinea in the group stage were offset by losses at crucial junctures to Windies and Ireland, and then to Scotland and Afghanistan. Batting collapses cost them against Afghanistan and Scotland – UAE were bowled out for 177 against Afghanistan, with Rashid Khan picking up 5/41 – his best bowling figures in the tournament. Against Scotland, neither the batsmen nor the bowlers could step up to the challenge as they conceded 322/6 and were then bowled out for 249. UAE conceded a total in excess of 300 to Windies and to Ireland as well. Though they fought hard with the bat against Windies, getting to 297/6 to lose by 60 runs, it was abject against Ireland, as they gave away 313/6 and then folded for 91. They missed Rameez Shahzad, who Mustafa called “one of the best batsmen in UAE”, in all but four games as he was indisposed. When he was around, he scored 188 runs with a century and a half-century, and averaged 62.66. In his absence, Mustafa, Chirag Suri, Muhammad Usman and Shaiman Anwar tried their best, but there was no consistency. Shahzad has been one of the finds for UAE. Having come into the tournament with just 10 one-day international appearances under his belt, the right-hand batsman scored 112* against Windies and 59 in the team’s last outing against Zimbabwe, a match-winning effort. Batting at No. 4, the 30 year old has the opportunity to come in early and build the innings, which he did well when he got a chance. Going forward, those performances will hold him, and UAE, in good stead.